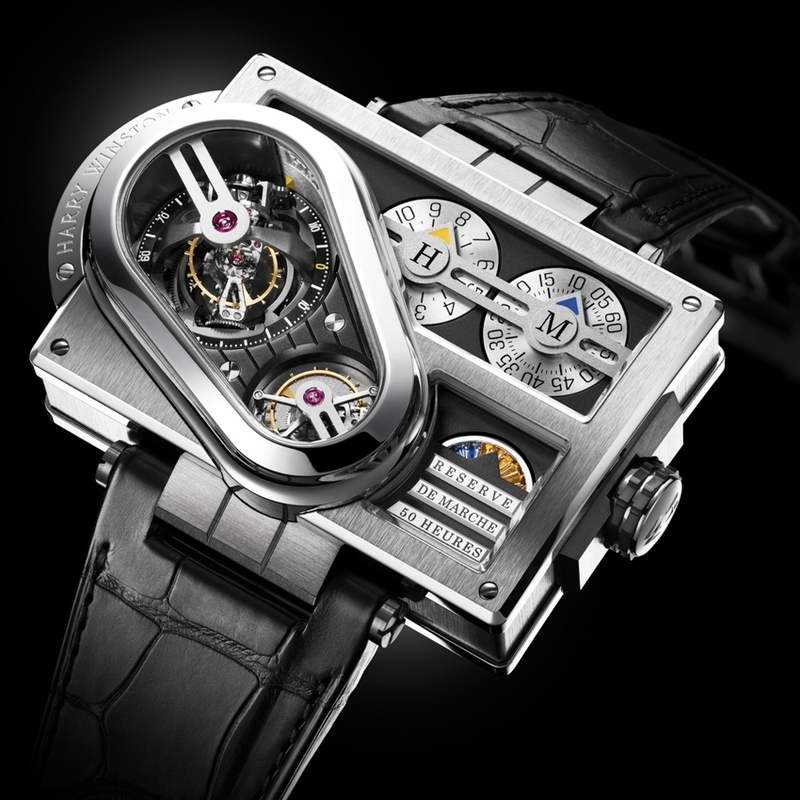 Act 3 in this Histoire de Tourbillon leaves no doubt as to the visionary path taken by this collection, which Harry Winston launched in 2009. Proposed as a 20-piece limited series, Histoire de Tourbillon 3 draws the eye deep into the mesmerising meanders of its perpetually rotating mechanisms, framed by a case in white gold and Zalium®. The dial's three openings are completely independent yet intimately linked. Resplendent at 9 o'clock is the bi-axial double tourbillon whose outer cage makes a complete revolution in 120 seconds whereas the inner cage makes its revolution in 40 seconds. 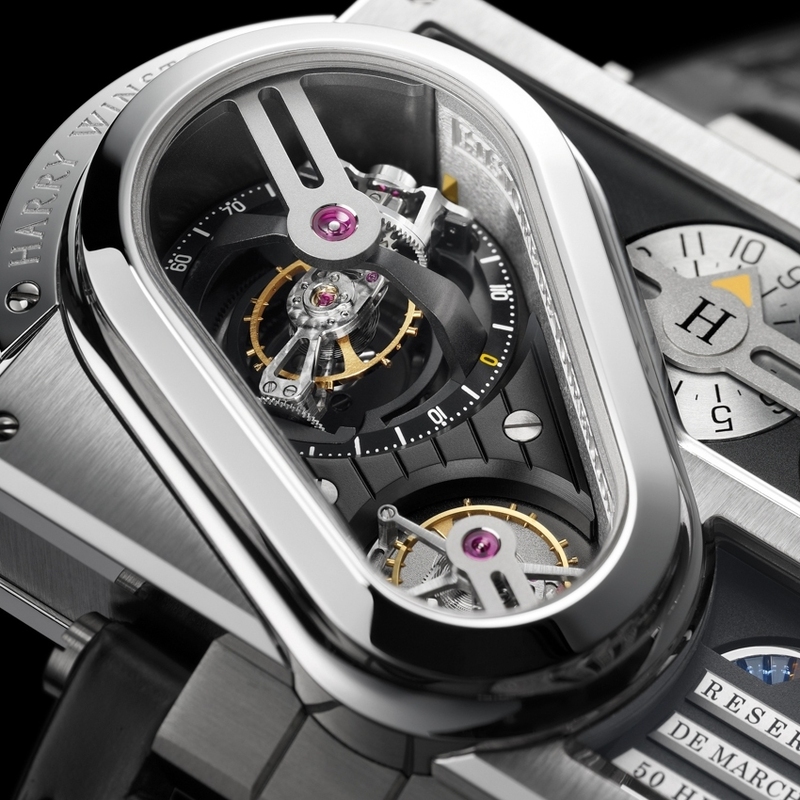 At 6 o'clock, a single-axis tourbillon rotates in 36 seconds. The off-centre hours and minutes are displayed on two rotating discs, while seconds regularly tick by. The third zone is for the power-reserve indicator, on a disc set with sapphires and citrines. An architecture dictated by avant-garde design, set free by time in all its dimensions.